From the different mountain environment that characterize the spectacular flowering of the meadows, pastures and woods, originates the Valle d'Aosta honey. This italian typical product is worked according to the ancient mehods and is not subjected to any heat treatment so it mantains its organoleptics properties. 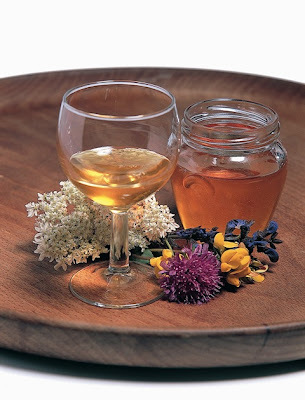 - the mountain wildflower honey, which is rich in nectar essences that characterize color and flavor intensity. The protection of this product is entrusted to the Valle d'Aosta Consortium of bees and the marketing is managed by the Cooperative Miel du Val d'Aoste and by the beekeepers themselves. The last sunday of October (23-25 October) the town of Chatillon becomes the capital of Valle d'Aosta honey, hosting the festival dedicated to this delicious food and its derivatives. The event each year attracts so many visitors. At the same time it also takes place the statement of the tools used by the producers over the years. To come in Italy and taste this delicacies, visit our partner site Leibtour and you will be assisted by a travel agent to book your room here in Valle d'Aosta.